The Council is the governing Coven over the Land of Five, a region entirely inhabited—and split apart—by witches with varying powers. Lilith Lace, a witch thought to be born powerless, happily resides in Ignis, the Coven of Fire, until she suddenly develops telekinesis, an ability only seen in some witches born in Mentis, the Coven of the Mind. When The Council finds out about her odd development, she’s taken under their wing and is finally told the truth—everything she’s learned about the Land of Five, herself included, have been nothing but lies. Sixteen-year-old Cruiser Dalton wants Lex Woods. The problem? She’s with his twin brother. An accident a year ago tore them apart and messed him up so bad his parents shipped him off to his grandparents. Now he’s back and ready to rekindle that spark with Lex. But as much as he wants her, he’s not going to steal her. He loves Rey and would never dream of hurting him. But Lex won’t leave his head–or heart. Lex has worked so hard to get over the accident and what happened between her and Cruiser. With his return, old feelings resurface. She can’t get him out of her head either, and it’s screwing things up with Rey. If they give in to their desires, they’ll hurt Rey. If they stay apart, they might miss out on something amazing. Dee J. Stone is the pseudonym of two sisters who write YA fiction. Their titles include No Ordinary Hero (Keepers of Justice, Book 1), Snake Girl, Cruiser, and Magic Twin. Their hobbies include writing, reading, and playing video games. All Hannah needs is a nice and quiet vacation after her first year of teaching French at a high school. She joins her brother Ben for the summer in their mom’s log cabin in Arizona. There, she meets Josh again, Ben’s childhood friend from the Navajo reservation. The little boy from the rez has grown up fast, and Hannah can’t help but feeling more for him than just friendship. But fate apparently has something else in store for her. And it’s not peace and quiet. Night after night, Hannah is plagued by strange nightmares about the past of Navajo Nation and terrifying shadows chasing her. They seem to come closer – and why is Josh always present in her dreams? Sometimes, the past has a way of catching up with you. 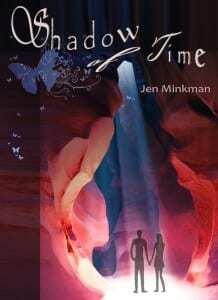 Jen Minkman writes paranormal romance and poetry. 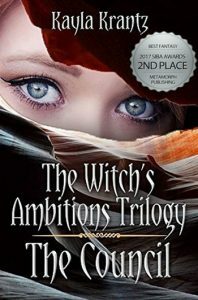 She is from the Netherlands and is the first-ever published paranormal romance writer in her own country. She self-publishes her work in English through CreateSpace and KDP on Amazon as well as Smashwords. Her works are available in paperback, Kindle and ePub format. She is currently a teacher of English, career counselor and teenage coach at a secondary school in Voorburg, Holland. She tries to read at least 100 books a year (and write a few, too!). In her spare time, she plays the piano, the guitar and the violin. For every novel she writes, she creates a soundtrack. Murder, romance, secrets and hidden pasts. Deception from every angle—who’s telling the truth? 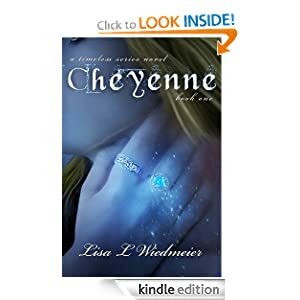 Cheyenne Wilson’s life is thrown into turmoil after her adoptive parents are killed in an accident. With only her best friend Colt to comfort her, she scours through the family archives, hoping to quell her grief. Instead she begins to unravel the mystery behind her birth parents, and her secret heritage. She is a Timeless- a being that ages one year for every hundred human years when they reach their twenties- and of the royal line, destined to gain great power. Writing is YA is a bit different than say adult fiction, because honestly I think I can get away with more. Typically YA characters are young (under the age of 21) and are prone to making mistakes, loads of mistakes because of their maturity level. I think most YA readers are more forgiving if it’s a young adult whose making bad choices than an adult who should truly know better. You can’t know what your future holds or what you have to endure to get there. You just have to hold on to your dreams and preserver. Greatness is never given, it’s only ever earned.